As a lifelong mountain girl valuing clean air, clean water and quality of life - I followed my fathers US Forest Service foot path - living in California mountain communities all my life. I graduated from UC Davis with a Bachelors Degree in Sociology and got my real estate license in 1992. 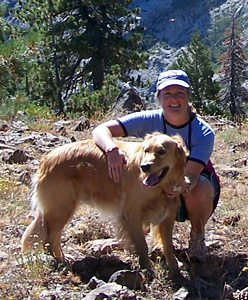 I moved to Mount Shasta in 1994, have been a loan officer since 2002, then achieved my Broker status in 2009. As a mortgage broker, helping people realize their dreams of homeownership is very rewarding... I enjoy having a friendly and long term relationship with my clients, while providing competitive and comprehensive home loan options.